Did you miss any of the reviews, interviews, guest posts, or excerpts for the tour? If so, go back and check them out now! I would like readers to feel good about the story’s conclusion, and believe that no matter what hardships we may face, we can overcome them with faith, perseverance and—of course—love! It still surprises me sometimes, especially considering that I haven’t been at it very long. If someone else were to ask me, I would say that if they are passionate about it and have started writing, they are a writer. For me, it was when I finished my first manuscript. 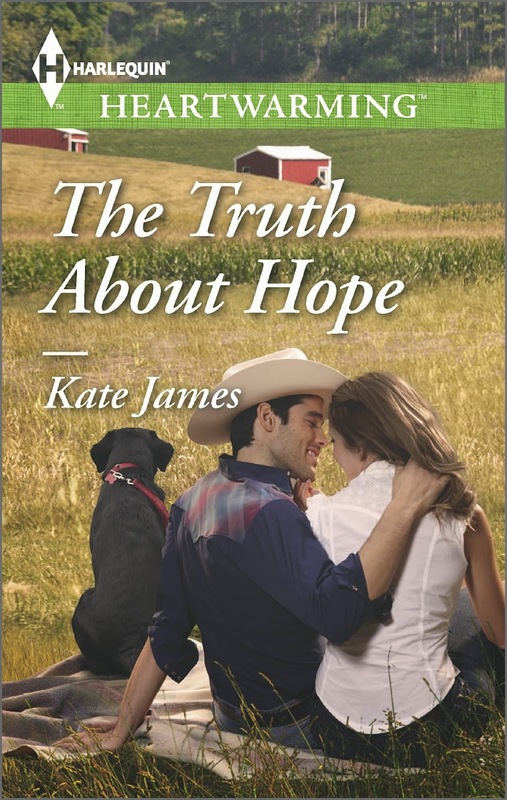 Author Kate James stops by today on the first leg of her blog tour for her new romance novel The Truth About Hope. Her revision story is one of the most charming ones I've come across, and I hope you enjoy it. During one of our stays with our friends in Texas, we visited a breathtaking promontory close to their home. I’ve fictionalized it for The Truth About Hope. 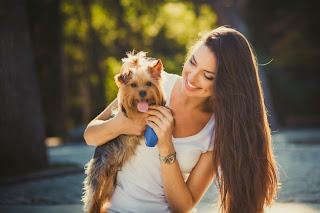 It is an important setting in the story as the event that precipitates the circumstances related to her departure and her reconnection with her high-school sweetheart, Luke, occur there. We first meet Hope as a seventeen-year-old girl, just having lost her mother, and learning that she has to leave Canyon Creek, the small town in Texas where she was born, to live with her father in San Jose. Most devastating for her is that she has to say goodbye to all the people she knows and loves, including Luke Carter. The buoyancy she’d felt as she’d driven toward the rising sun faded, and she felt a ripple of apprehension. In tune with her mood as always, Einstein ambled over and nuzzled her hand. She automatically stroked the top of his head. “Well, we might as well get this over with,” she murmured. "I loved the way the characters value each other and aren't afraid to admit their mistakes. The story flows well and leaves a reader feeling satisfied. With a blend of mild suspense, hard work and values, and a sweet romance, this one is a hit!" She lowered her head. “Great. Just great,” she muttered. Those mischievous fates just had to have another go at her today, didn’t they? Of all the people they could’ve thrown in her path, it had to be Luke. Probably served her right for not being able to keep her mind off him. I remember vividly the spot where my husband and I stood on a brilliant May morning, and I knew I’d have to write that setting in a book at some point. The Truth About Hope gave me the perfect opportunity! I hope you enjoy this wonderful slice of Texas! LUKE DIDN’T KNOW what had compelled him to go for his Saturday-morning run along Yardley Drive and up to Promontory Park. As he turned onto the gravel path from the sidewalk, he came to an abrupt halt. Sitting on the bench with her back to him was Hope. There was no mistaking that long, mahogany hair, even in a ponytail and under a ball cap. "Overall, this was a pleasant read. Animal lovers, in particular, will enjoy reading about Hope and Noah's efforts to rescue animals." "The story of love, family struggles, faith, hope and forgiveness had me captivated from the beginning. The story of Hope sent a sense of reality and a real desire for her to have true happiness." You speak five languages. Which languages and what were the greatest challenges in learning each one? The languages are English, Spanish, French, Hungarian and German, but sadly I did not remain fluent in the ones I did not use. I can still understand Spanish and French, but it would be a struggle to try to speak coherently.As a child, I found the languages easy to learn, especially being immersed in them. While not a challenge but an interesting consequence, probably into my early twenties my English was slightly accented, but no one could place the accent as it was an amalgam of the other languages I had spoken. Hope builds a fulfilling life of her own in the years since she’s left Canyon Creek. Yet, more than ten years after her departure, the emotional tug is still there when she returns . . .
"What I enjoyed most about The Truth About Hope, was the refreshing honesty of the characters. Hope and Luke still carry a flame for each other after all those years, and the reader gets the pleasure of following them on their journey toward forgiveness and a rekindled love." "The book is told in a narrative style. It's normally not my favorite writing style, but Kate James does a great job of making it work. She was able to keep my interest in the story and characters." "I enjoyed following Hope through her life events. I really got a good sense of who Hope was and why she did what she did. . . . This was a good book, so easy to settle in with. The characters were all so likable. Yay for another sweet, clean romance!" How do develop your characters? Do you use outlines, story boards, sketches? KATE: Interestingly I’ve never thought about using sketches, despite the fact that I’ve always enjoyed drawing and painting. Thank you for the idea, though. I might have to try it! To answer the question, I have a general idea of what my characters look like, their traits and beliefs, when I start the book, but they evolve and grow as my writing progresses. The only guide I use for my writing is the book proposal or synopsis, but I can always visualize quite clearly what my characters look like, and have a good appreciation of how they will behave in specific circumstances. father’s last wishes, there’s only one person on her mind: her high school sweetheart, Luke. The boy she lied to when she had to leave Canyon Creek as a teen, finding it easier to hide what she really felt than deal with the grief of loss. Her father’s fortune could make a big difference to Canyon Creek—but Hope finds that the townspeople have a long memory about his misdeeds. With a plan to make amends on his behalf, Hope learns the truth about herself. And the truth about love.